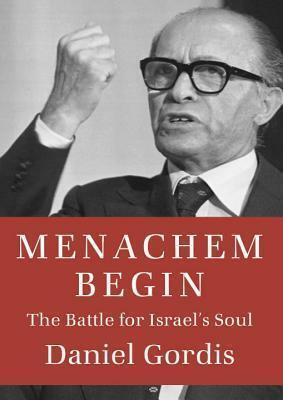 Reviled as a fascist by his great rival Ben-Gurion, venerated by Israel's underclass, the first Israeli to win the Nobel Peace Prize, a proud Jew but not a conventionally religious one, Menachem Begin was both complex and controversial. Born in Poland in 1913, Begin was a youthful admirer of the Revisionist Zionist Ze'ev Jabotinsky and soon became a leader within Jabotinsky's Betar movement. A powerful orator and mesmerizing public figure, Begin was imprisoned by the Soviets in 1940, joined the Free Polish Army in 1942, and arrived in Palestine as a Polish soldier shortly thereafter. Joining the underground paramilitary Irgun in 1943, he achieved instant notoriety for the organization's bombings of British military installations and other violent acts. Intentionally left out of the new Israeli government, Begin's right-leaning Herut political party became a fixture of the opposition to the Labor-dominated governments of Ben-Gurion and his successors, until the surprising parliamentary victory of his political coalition in 1977 made him prime minister. Welcoming Egyptian president Anwar Sadat to Israel and cosigning a peace treaty with him on the White House lawn in 1979, Begin accomplished what his predecessors could not. His outreach to Ethiopian Jews and Vietnamese "boat people" was universally admired, and his decision to bomb Iraq's nuclear reactor in 1981 is now regarded as an act of courageous foresight. But the disastrous invasion of Lebanon to end the PLO's shelling of Israel's northern cities, combined with his declining health and the death of his wife, led Begin to resign in 1983. He spent the next nine years in virtual seclusion, until his death in 1992. Begin was buried not alongside Israel's prime ministers, but alongside the Irgun comrades who died in the struggle to create the Jewish national home to which he had devoted his life. Daniel Gordis's perceptive biography gives us new insight into a remarkable political figure whose influence continues to be felt both within Israel and throughout the world. This title is part of the Jewish Encounters series. Introduction: Who Was That Man? 9. Of Whom Were We Afraid? "Gordis is at his best in making a complicated narrative accessible. He boils down Begin's long life, full of controversies, into clearly crafted prose. . . . For those not familiar with the riveting story, this certainly serves as an enjoyable and important introduction to this fascinating man." --The Jerusalem Post "Fast paced and informative. . . . Regardless of how readers feel about Begin--adoration or condemnation--they are sure to find this biography compelling, fascinating, and enthralling." --St. Louis Jewish Light "Gordis's perceptive biography gives us new insight into Begin's life and into how his influence continues." --The Kentucky Democrat "Gordis captures, in clean, clear prose, the heart of Israel's founding and formative years: the soaring idealism and bare-knuckle pragmatism, the shows of Jewish unity and the bitter feuds, the inspiring stories of survival and the depressing anecdotes of violence. It's a good place to start for the contemporary reader curious about one small but central clump of the tangled roots of the Middle East's current turmoil. . . . A solid work that insightfully considers Begin's personal characteristics even as it provides context for his place in history." --Christian Science Monitor, 10 Best Books of March "Gordis's clearly written and engaging book tells Begin's story well and, perhaps more importantly, makes a fine contribution to the study of his character." --Jewish Review of Books "It has fallen to Daniel Gordis to pen the gold-standard text in Begin studies. . . . The achievement of Menachem Begin is twofold: the illumination of a complex but pivotal figure in Jewish history, and the guiding of the Jewish people toward a better understanding of themselves." --The Wall Street Journal "An immensely thoughtful and nuanced biography [by] one of Israel's important public intellectuals. . . . Beautifully written and insightful, [it] is an important contribution to contemporary scholarship about the political history of the modern Jewish state." --National Review "Distinguished academic Gordis distills the essence of Begin's long, storied, and contentious career [in this] concise and exciting political biography." --New York Journal of Books "Gordis writes well about Begin's personal qualities . . . capturing both his character and his place in Israeli history." --Publishers Weekly "The story of Menachem Begin is an inspiring story of Israel, and his legacy is one that lives with us still. Daniel Gordis expertly recreates that epic and passionately passes that tradition on to his readers. Anyone wishing to understand Israel--its past as well as it current affairs--must turn to Gordis's Begin." "Whether you adored Begin or reviled him, whether you thought he was the best prime minister Israel ever had or the worst, you will appreciate and learn from Gordis's fascinating portrait of a memorable man." --Deborah Lipstadt, author of The Eichmann Trial "Daniel Gordis's new and wonderfully written biography of Menachem Begin makes the case for a fresh look at the Israeli prime minister who made peace with Egypt. The portrait he paints of Begin is that of a man of singular devotion not just to the State of Israel, but also to the Jewish people. His passionate belief in both drove him, and it's that passion and the intellectual depth behind it that Gordis finds appealing and in need of resurrection in Israel's political class today. After reading this compelling book, most readers are likely to agree." --Dennis Ross, The Washington Institute "A unique biography of a seminal leader many Jews think they know but don't really understand. Like the best works of history, Gordis's intellectual biography of the man who helped restore Jewishness to Israeli identity is of urgent contemporary relevance, as American Jews struggle with the meaning of Jewish people hood in their own lives. Passionately argued, beautifully evoked, this biography will become an indispensible part of the contemporary Jewish bookshelf." --Yossi Klein Halevi, author of Like Dreamers: The Story of the Israeli Paratroopers Who Reunited Jerusalem and Divided a Nation "Writing a balanced, eloquent biography of one of the most polarizing figures of our time would seem impossible, but Gordis has done it. This is a riveting recounting of the passionate, meticulous, triumphant, dark, pivotal peacemaker, Menachem Begin." --David Wolpe, rabbi, Sinai Temple, and author of Why Faith Matters "Menachem Begin was a man of great contradictions, and Gordis's biography captures all of them in a remarkable manner. It deals in a brilliant way with the complex personality and heritage of Israel's sixth prime minister. Gordis is not only precise, honest, and insightful, he is also a deeply talented and sensitive writer. That's why his Begin is a man of flesh, blood, mind, and soul, a multi-dimensional historic figure who made a vast contribution to the founding of the Jewish state and to the way it has redefined itself in recent decades." Daniel Gordis is the award-winning author of Saving Israel. His previous books include If a Place Can Make You Cry, The Promise of Israel, Home to Stay, and God Was Not in the Fire. He is a regular contributor to The Jerusalem Post, and has written for The New York Times, The New Republic, and The New York Times Magazine, among other publications. He is Senior Vice President and Koret Distinguished Fellow at Shalem College in Jerusalem.